Competitions are open to UK residents only, we're afraid. "Which historical character can you imagine visiting 21st century England, and what would she or he think of us?" 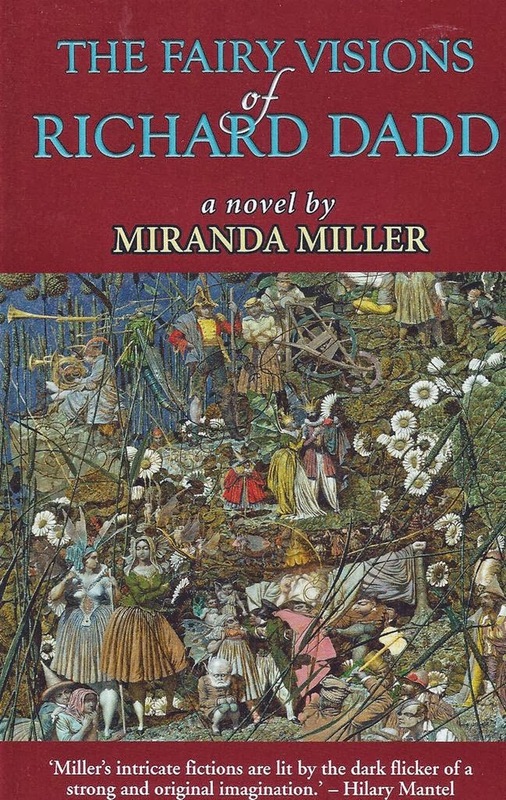 Labels: Miranda Miller, October competition, Richard Dadd. 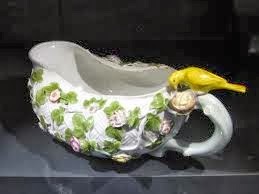 No, not a gravy boat, though it would make a very pretty one. This is a bourdaloue, once the salvation of many a lady caught with a full bladder in a public place. The only problem was, having used it she needed someone to empty it for her. If she didn’t have a maid I suppose she could have slipped it under a chair and nonchalantly kicked it over with the toe of her dainty slipper. I find it interesting to see things that were once a part of my daily life becoming collectable antiques. 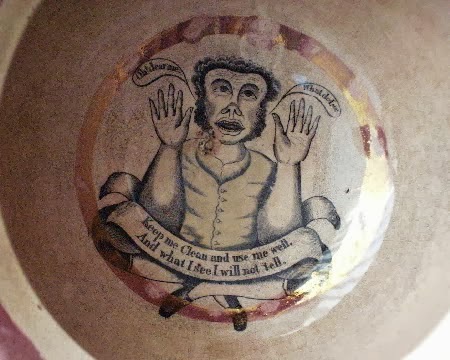 I was born too late for a bourdaloue but not for a chamber pot. Growing up in a house with no indoor plumbing it was an essential item under every bed. Mine was pink. My parents had one in blue and white willow pattern. The unenviable job of emptying them each morning fell to the females of the house. When you were deemed old enough to empty your own gesunder you knew you’d really grown up. Gesunder was one of its several affectionate names. As in ‘gesunder the bed’. ‘Jerry’ had a similar etymology, during and after World War Two. Po (from pot-de-chambre) was the favourite in our neighbourhood, which caused a lot of stifled mirth when we did the rivers of Italy in school. The chamber pot wasn’t a very hygienic thing but by the 20th century it was at least used in the privacy of the bedroom. Up to the 19th century gentlemen, full of claret and ready to progress to the port, depended on finding a po in the dining room sideboard, though of course they’d only use it after the ladies had withdrawn. Why, you may ask yourself, didn’t they go to another room relieve themselves? What, and risk missing a bit of gossip or a good joke? Writers of historical fiction sometimes get berated either for bringing 21st century sensibilities to their creations, or for not doing so. Personally I’m in the ‘tell it how it really was’ camp. And the bourdaloue is a good reminder that spending a penny hasn’t always been a private affair. I wonder, by the way, how long the expression ‘spending a penny’ will remain in circulation. On Horsefair Street in Leicester sixty years ago a penny used to buy you a very comfortable call in a spotlessly clean cubicle. Nice warm wooden seats too. Those were the days. As for bourdaloues - named by the way, after a French priest famous for his bladder-testingly long sermons - they are now collectors' items. And chamber pots look very nice planted with geraniums. Found in translation? Biographer Clare Mulley considers the importance of language to identity. Interestingly, my Polish publisher has changed the title of the book. Instead of The Spy Who Loved, which refers to Krystyna’s deep-seated desire for adrenalin, danger, men and, above all, freedom - for her country and for herself, the Polish edition is called, The Woman-Spy: A Pole on His Majesty’s Secret Service. 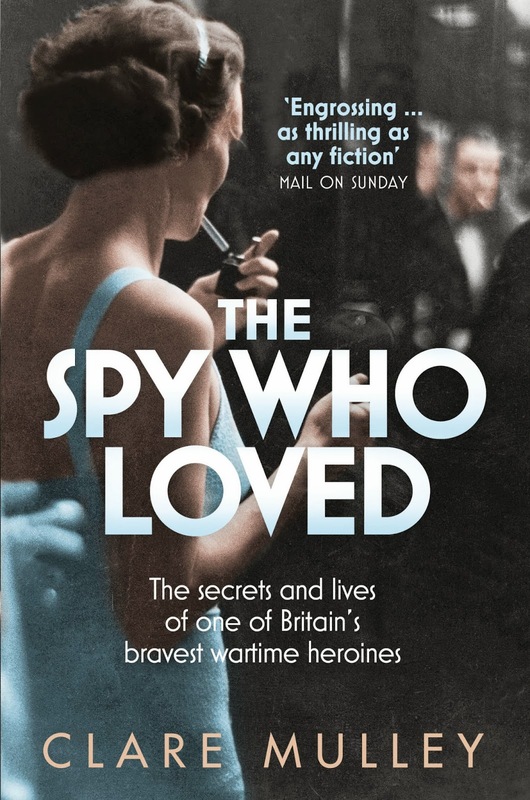 Pleasingly there is still a hint of Bond here (Ian Fleming was inspired by Krystyna), but the central intrigue is now not that she was a passionate woman, but that she was a Polish woman working for the Brits. Krystyna's medals. The gorget is centre top. 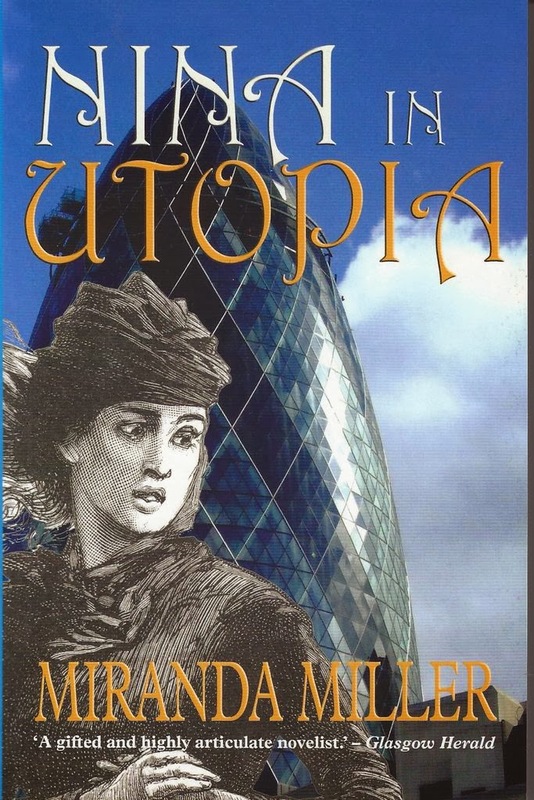 Publically recognised or not, Krystyna was never an exclusively British heroine. In fact despite being honoured officially here but not in Poland, she is probably better known in Poland today. Certainly the book launch at the Warsaw Uprising Museum next week is being organised by wonderfully generous and enthusiastic Poles, and attended by the Polish Foreign Minister several other cabinet members, as well as the British Ambassador and French First Consul. Earlier, during my research, I had also found plenty in Polish archives, and through interviewing Poles both in Britain and Poland who, or whose relatives, had known Krystyna. 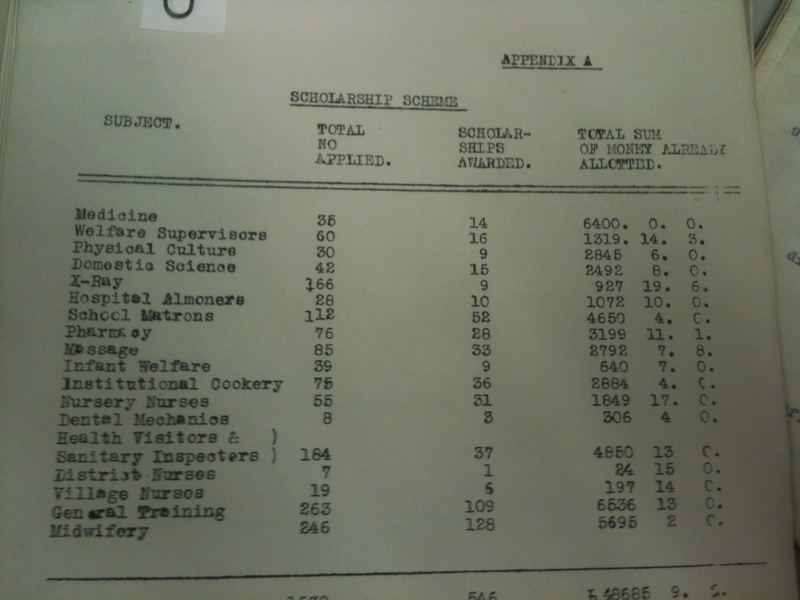 On the other hand there was even more information in British archives. But how did she view herself, and in what language did she choose to communicate? I have been much engaged with Aftermaths recently. 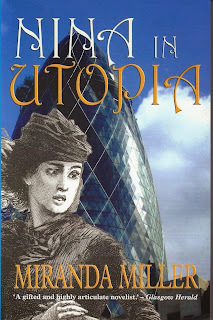 My most recent novel was set in the First World War; it required a sequel, so what choice is there? I wanted to call the sequel After All That; the publishers didn't care for it. Sales thought it sounded like the punchline of a laddish anecdote. I'd thought it sounded like Goodbye to All That. Ah well - goodbye to all that. We're calling it The Heroes' Welcome. I'm very pleased with it. In a sequel, you have to go where history forces you. You can leap, of course, but the only direction, chronologically, is forward. I decided just to sit in 1919: a quiet year (so quiet that Juliet Nicholson called her book about it The Great Silence) but one during which, quietly, a great advance was made: the step from the end of the war (goodbye to all that) to the start of the modern age, the actual twentieth century. The advantage of a sequel, of course, is that you know your characters pretty well by now. I knew what they would want, and I wanted to give it to them. They'd had quite a hard time of it in Book 1. I knew just what I wanted for Rose, the tall thin kind dry one, who'd nursed with a passion, who put up with everyone, who was in her thirties, who had no intention of getting married thank you very much. And so it's back to the archives . . . .
And what a pleasure it is. Eleanor Updale wrote very amusingly the other day about researching on line; for me this time it was wading back into the joys of serendipity and misdirection in searching on paper. 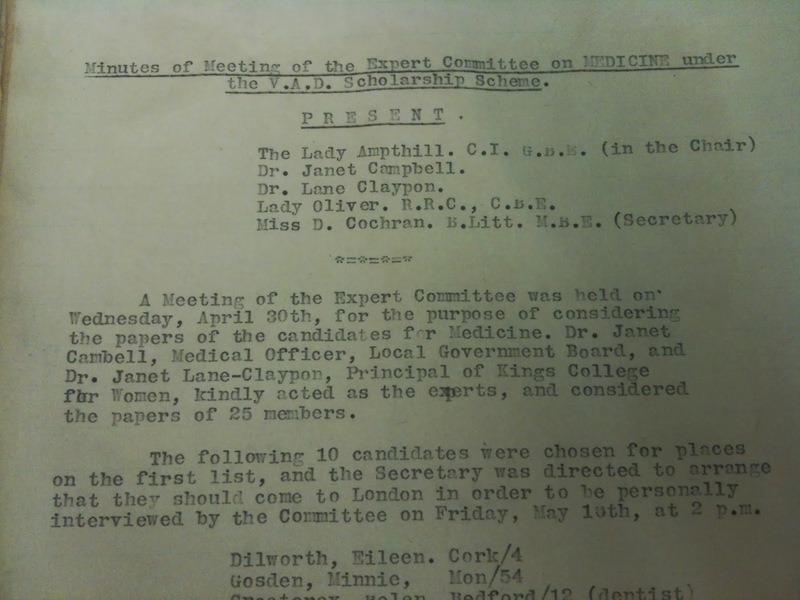 I was in the bowels of the Red Cross building in the City of London, metal filing cabinets, rubber bands, friendly archivist, photocopies, old blue cloaks in strong cardboard boxes, fascinating distractions everywhere you look. 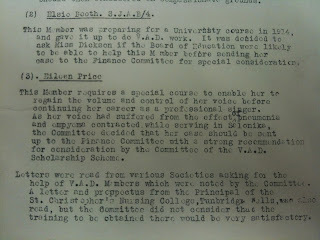 And what I was after: the VAD Scholarship scheme. 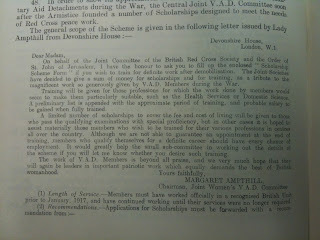 On behalf of the Joint Committee of the British Red Cross and the Order of St John of Jerusalem, I have the honour to ask you to fill up the enclosed ‘Scholarship Scheme Form’ if you wish to train for definite work after demobilisation. 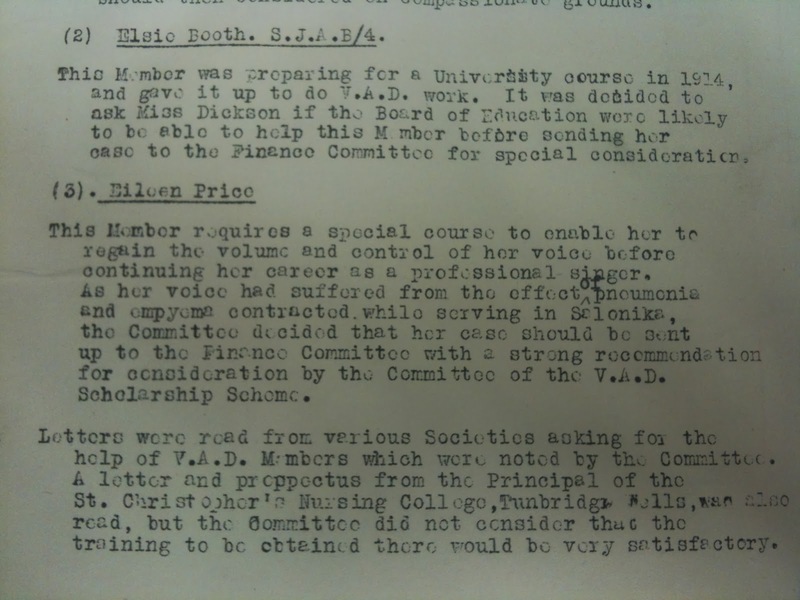 The Joint Societies have decided to give a sum of money for scholarships and training, as a tribute to the magnificent work so generously given by V.A.D. Members during the War. Training will be given for those profession for which the work done by members would make them particularly suitable, such as the Health Services or Domestic Science. A preliminary list is appended with the approximate period of training. and probable salary to be gained when fully trained. A limited number of scholarships to cover the fee and cost of living will be given to those who pass the qualifying examinations with special proficiency, but in other cases it is hoped to assist materially those members who wish to be trained for their various professions in centres all over the country. 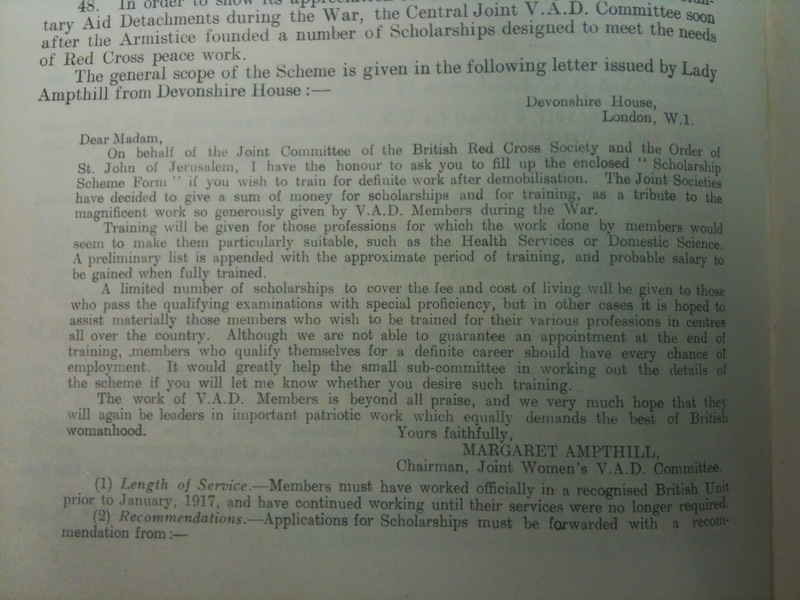 The work of VAD members is beyond all praise, and we very much hope that they will again be leaders in important patriotic work which equally demands the best of British womanhood. Chairman, Joint Women’s V.A.D. 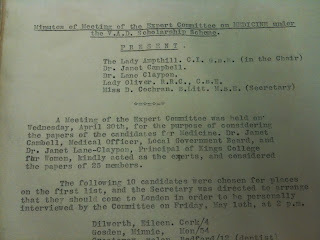 Committee. Length of Service. 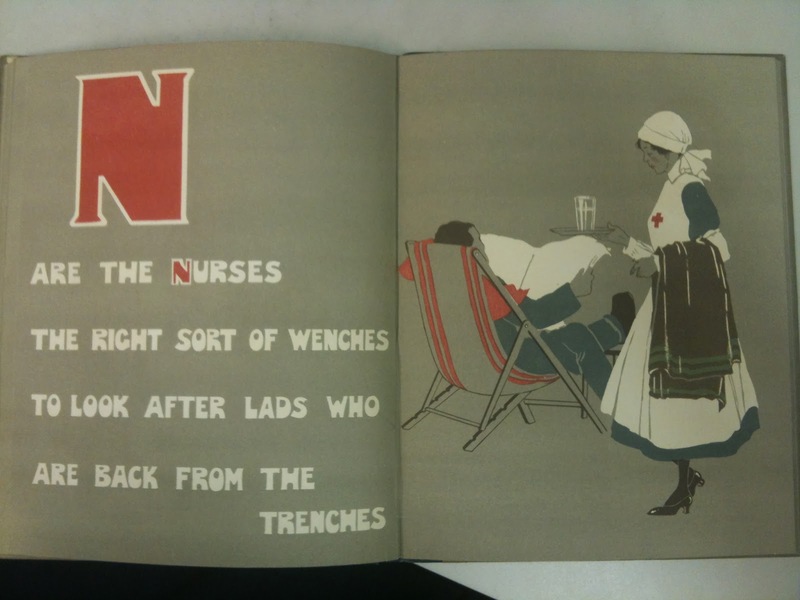 - Members must have worked officially in a recognised British Unit prior to January 1917, and have continued working until their services were no longer required. Recommendations. - Applications for Scholarships must be forwarded with a recommendation from :- (a) The Matron ... ... ... For Nursing Members working in Military Hospitals. A new Medical Certificate will be necessary. 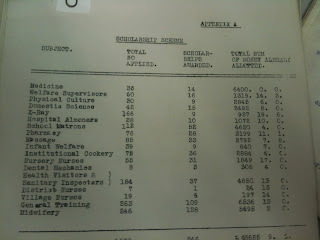 Standard of Education. - Certain Scholarships will require a high and definite standard of education which will be taken into consideration. Applications.- Application should be made before March 31 1919. Further correspondence. - When a form has been filled up by a Candidate, forwarded by her Officers, and approved, further correspondence will be carried on confidentially with the Member with regard to the amount of financial assistance required and other matters. And here is the committee: all women. All rather interesting women. Revert to Google - yes. Very interesting. Early breastfeeding research . . . orphans of Guernica . . . differentiation of curricula for boys and girls . . . maternal mortality . . . League of Nations . . . identification of risk factors for breast cancer . . . the first ever published epidemiological questionnaire . . .
Later, I read in the records about the ones who pass and fail their exams, who apply for further funds for further training, and the one or two who, to the committee's great disappointment, drop out and get married. Because, and oh how easy it is to forget, a married woman did not work. That's it, ladies. Less than a hundred years ago we had to choose between our work, and our love, our children, our own family. 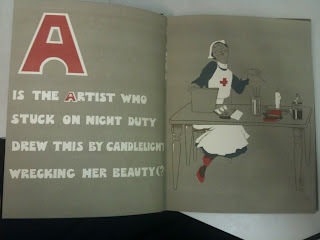 They also had this sweet alphabet book, put together by a talented nurse artist: here is her self-portrait. And here is her portrait of her colleagues. I was so happy to sit among the papers which would allow my dear character Rose, the right sort of wench, to honour her ambitions. I was so pleased to know who would have interviewed her, on what day, at what time even! I put Eileen Price in the waiting room with her. Rose is going to become a doctor. This is how it would have happened. It may be a small, aftermath-of the-drama kind of thing, but it is her own life. Historical fact? Or Historical fiction? It depends on who tells the story. I grew up with History books so slanted toward a single viewpoint that they were almost subversive, but at the time I believed they recorded the absolute truth. When a young doctor of 28 was found hanging in his cell while under the 90 day Detention Act which allowed prisoners to be held without recourse to a lawyer or trial, and which could be re-instated for another 90 days as soon as the first ran out…. was this suicide? Was it assisted suicide? Or was it murder? Had his interrogators tortured and killed him and made it look like suicide, or had he in fact taken his own life? What is fact? What is fiction? Either way he died in police custody. In Parliament in South Africa, in 1982, the Minister of Police, Louis le Grange, announces… "the detainees in police cells or in prison cells are being detained under the most favourable conditions possible… All reasonable precautions are being taken to prevent any of them from injuring themselves or from being injured in some way or from committing suicide." Two days later, Dr Neil Aggett is found hanging from the bars of the steel grille in his cell in John Vorster Square. He has spent 70 days in detention. He is the 51st person and the first white person, to die in detention. This is fact. In the week after his death, 90 000 workers down tools and hold a national half hour work stoppage. 15 000 workers, more than 200 nurses in uniform from Baragwanath, the black hospital (hospitals were segregated then) where Neil worked, together with his friends and family follow the coffin on its seven kilometre journey from St Mary’s Cathedral in Johannesburg to the cemetery of West Park. The city comes to a standstill. No funeral for any South African statesman has ever made a greater impact. This is fact. Beverley Naidoo's book, DEATH OF AN IDEALIST, explores the journey of the sports loving schoolboy who became a doctor and then an unpaid trade union organiser whose life ended so abruptly. The photographs in the book show a bright open-faced boy staring out from the page with his tennis and cricket teams. And later photographs of him with his friends on their vegetable co-operative, growing cabbages, looking like true 70's hippies. · The foundations of a civil society are based on individual accountability for moral, ethical issues. 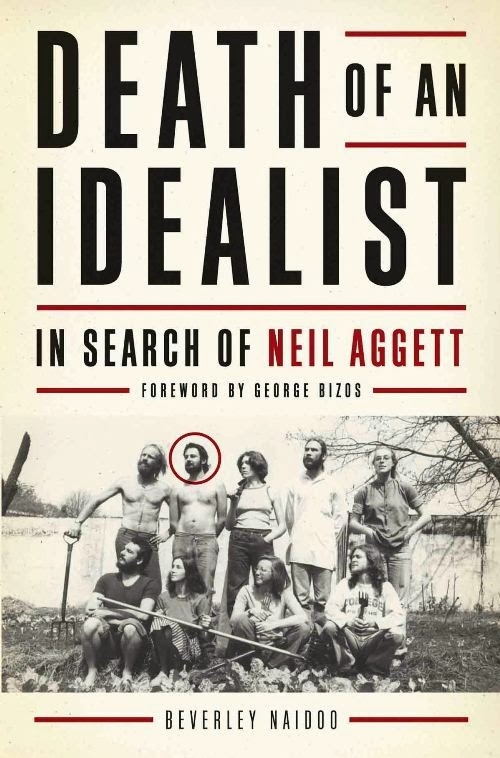 Neil’s fundamental idealism was to do good in the world and to live a simple and generous life. 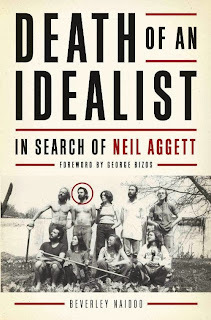 · Neil’s story reflects the capacity an individual has to mobilize others out of apathy… an apathy that is becoming more obvious in present societies. · Prisons are a world of total institutionalization, not only for detainees but also for the police who act behind impervious walls, where even good people are capable of bad acts. Beverley Naidoo, who herself was banned from South Africa in her early 20’s and whose first youth novel about two children who travel to the city to find their working mother, Journey to Jo’burg, was banned in South Africa – a first for a children’s novel set there – has written a poignant story of a family bewildered by their son’s death and the political furore it caused. DEATH OF AN IDEALIST is as much the story of a remarkable young man as it is a reminder that every generation needs its idealists. In Beverley Naidoo’s hands Historical fiction is explored against the template of Historical fact. I was planning something pretty earnest for this month, but it needed a photo specially taken in London, and a change in my travel plans means it will have to wait for another time. My first idea for a replacement was something equally worthy. I thought I’d give an example of how profoundly the Internet has affected the research process. I was going to illustrate it with the story of my own quest, ten years ago, to find a fragment of a torn 17th century letter, which turned out to be in the archives of an ancient British bank (the main body of the sheet being in Australia). Back at the turn of the century (and even though the Internet was beginning to make our lives easier) the shoe-leather side of historical research took ages. 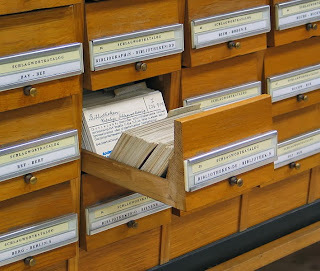 We still had to consult card indexes, with all their vulnerability to misfiling, illegibility and loss. Sometimes, a long journey to an archive would result in disappointment: either the thing you were looking for was not there, or there was a policy that only the staff could undertake a search. 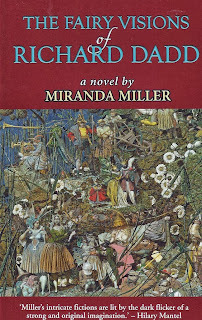 They were unfailingly helpful and polite, but they were inevitably operating at a disadvantage – not really knowing what you were after, no matter how good the brief; blind to the resonance and inspiration of apparently irrelevant items; prisoners of the little summaries written by the original cataloguers, who had read the documents with the preconceptions and value judgments of their own time. Even then, some libraries would communicate only by post, and demanded written references to show that you were entitled to ask a question in the first place. ... Or so I imagine. I didn’t get as far as that comparatively simple task. Instead, caught up in the egg-whisk of the search engine, I hit on the idea of seeking out a digital image of a random 17th century letter from anyone, anywhere, and unpicking it for you. So I put in some very broad search terms (digital, letter, archive, university etc) just to see what would pop out of the Internet Lucky Dip. 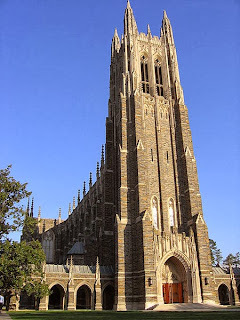 The very first search result was from Duke University in North Carolina, USA. As it happens, there are some distinguished researchers in my period there, so I thought it was all ‘meant’, and I clicked on. And that’s when you were rescued from my plan, because what I hit on was the most wonderful archive of AmericanTV advertising. Duke has put online thousands of television commercials created or collected by the D'Arcy Masius Benton & Bowles advertising agency. They date from the 1950s to the 1980s. 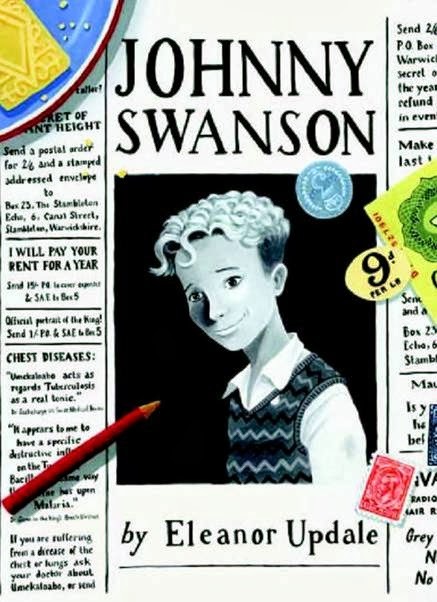 If you know my book Johnny Swanson, you will understand why my heart leapt. Part of the plot of that book is based on 1920s classified ads, so I was already primed to relish diving in to one of the best resources for getting a feel for the social tone of a time and place. 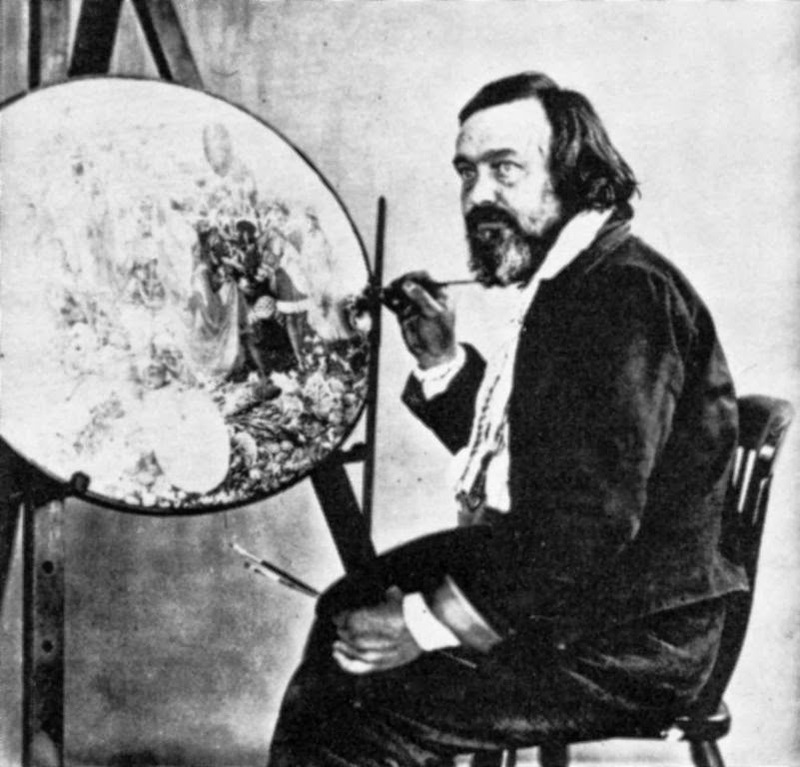 If ever you fancy a lost afternoon, this digital archive is the place to go. It’s the reality behind Mad Men, with all the deification of doctors, flagrant peddling of bogus science, and manipulation of maternal concern. Everything is interesting: the scripts, the camera angles, the clothes, the narrative structure of the ads, and the extensive exposure of children’s bodies, in a purely innocent way that would be unthinkable today. As you would expect, the unintentional humour trumps any real jokes. Of course, my interest was entirely academic and soberly historical (ahem). 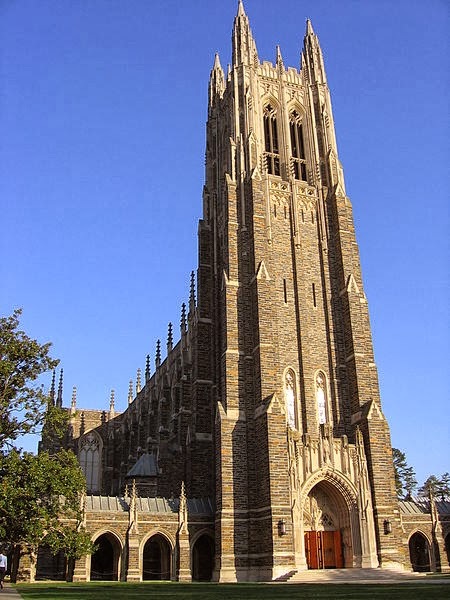 Duke University is, without doubt, a highly respectable place with a serious and important archive. 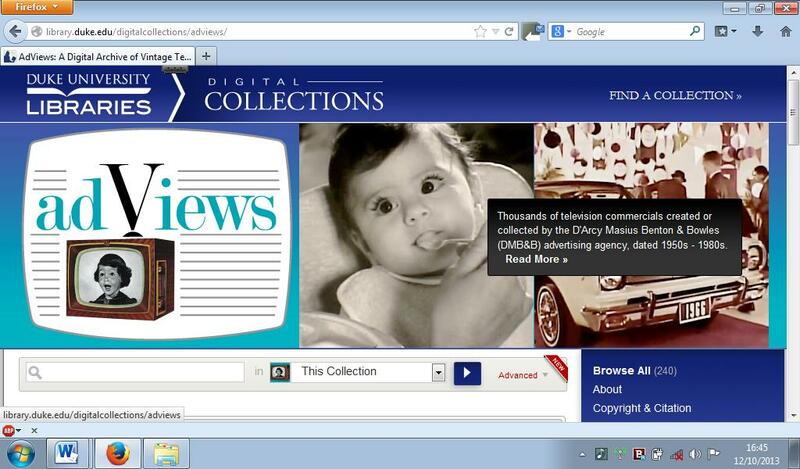 These advertisments are just as important historical sources as the letter I meant to look for. But they're fun too. If you need a bit of a diversion from real life, and don’t mind losing a huge chunk of work time, give this archive a click. I am a very visual writer. 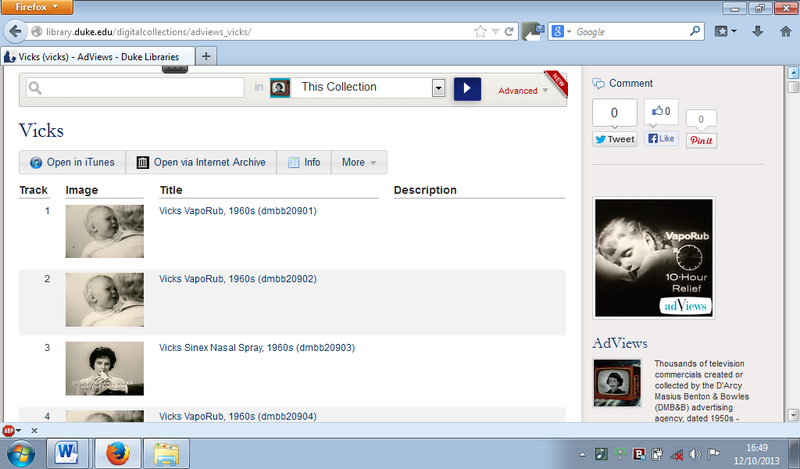 When working I see the stories of my novels as film clips and photographs but withthe emotions and senses added in. When it comes to doing the research I use a variety of mediums to weave the background and to create the solidity of the characters living their story centre stage. Much of the research is conducted via study of the written word either in book form or online and I have an extensive research library. This method of research is a core staple, but I like to augment it through other forms too. I join in living history experiments and displays with re-enactment society Regia Anglorum, and this in itself gives me far more than I could learn from a book, or even from studying artefacts in a museum. For example, I have a replica cooking pot with a late Anglo Saxon/early Norman dateline. Through using it I know that a beef and barley stew doesn't burn on the base when being simmered on gentle open such as at the side of a hearth fire. The shape of the rim means that evaporation is kept to a minimum and unless you have the pot in blazing heat, you can comfortably pick it up off the embers by the rim without burning your hands. So if I ever need to write a scene with a cooking pot scenario, or even as background, I know exactly how it works. the heart of a blazing fire to boil up the potter's tea water! These days wherever I go, I always have a camera in my bag. The artefacts from past centuries tell us just as much about society then as the written word, but in colourful visuals, and make all the difference to the writing experience. 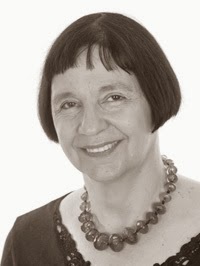 Historical novels need to understand the mindsets of the people about whom they are writting. How did they think and feel about the issues of their time? Their material culture is a vital part of finding that out. It's more than just window dressing for background colour (although it can act as wallpaper if that's all the writer requires), it tells us about status and tastes and attitudes. It also brings one down to earth to realise that without today's technology and advantages, the crafstmen of past centuries made the most exquisite items with their own hands and coped with the conditions at hand (imagine working without magnification and knowing that when the daylight went there was only candle light or oil lamp light to work by). Even the items that were basic and utilitarian, such as my cooking pot, were superbly equipped for their function and are proven to work every bit as well as their modern counterparts. Last weekend I was at the Museum of London and would recommend it to anyone as worth a visit. It has galleries going from the Stone Age through to modern times - as modern as costumes from the recent Olympics ceremony. Here are some of the photographs I took and which will be going into my research album. Mostly they are medieval because that's my firm period of research, but I've enclosed one or two others for everyone's general interest. Horse bit circa 1000 and stirrup mount above, stated to be Viking. 'Piggy bank'. Medieval money box. by an iron blade, but not always. Headdress frame late 1400's - 1520's. Pewter. close up detail on the bodice of the above dress.